For over 13 years, The Montana Chocolate Company has been making a statement with our delicious Montana Made favors for your celebrations. 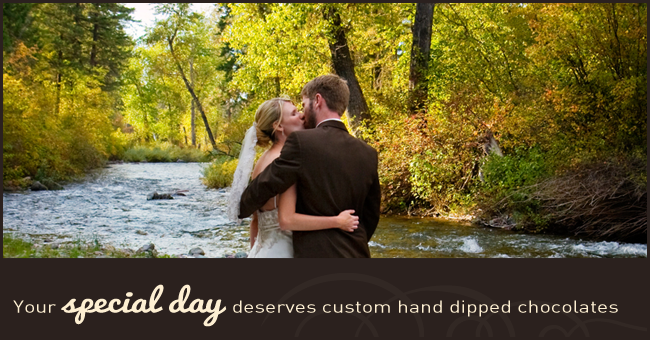 We love working with you for your special day with custom hand dipped chocolate. Theme weddings and special events are popular and we will work with you to customize a wonderful thank you favor. Call us at (406) 777-0808 or come in to our storefront tell us what you are looking for.